Robert Byron. THE ROAD TO OXIANA. 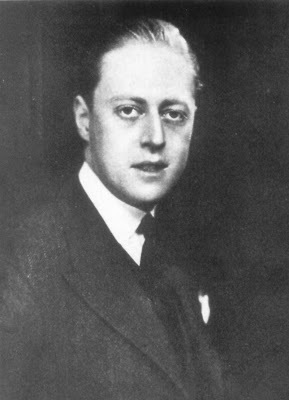 Macmillan, London 1937. This is a redoing of a posting from November 2007 with the values edited and some new info on the 'Byronic character' mostly from D J Taylor's masterpiece of research 'BRIGHT YOUNG PEOPLE; The Rise and Fall of a Generation 1918 - 1940.' Robert Byron greatest travel writer of his day, aesthete and leading member of the Brideshead generation and connoisseur of coloured architecture. 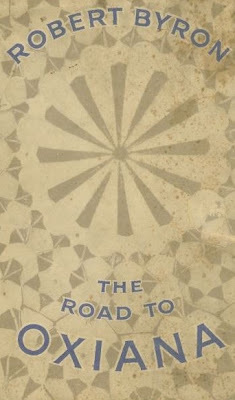 The Road to Oxiana, describes his journey to Persia and Afghanistan in 1933-34. 20 years ago the book was known to a few collectors only, although RB pretty much invented the modern literary travel book. Paul Fussell insists that "what Ulysses is to the novel and what The Waste Land is to poetry", Byrons book is to travel writing. After it appeared in a catalogue for £500 and sold, one over zealous dealer travelled the length of Britain looking for it (they had quite a few shops back then) and asked every seller if he had a copy. It is not an especially rare 'rare book' so he found a few. The book was then wide awake and later started to achieve spectacular results in auction and is no longer fun unless you find it at the bottom of a tea chest in a sale that somehow has eluded being listed on the web. Trouble is they are all listed and they don't use tea chests anymore, and even the dimmest and most chinless book auctioneer has heard of the book. It was not a nice copy but went to a collector fairly smartly at £800. VALUE? A copy of 'Oxiana' in a decent jacket made £1400 + premium in 2004. A fairly decent copy is on sale as we speak at £2000. The book may (apres le deluge) go up gently if modern travel writing becomes more collected. Recent auction records for less than great copies have been well under a £1000. The great proponent of Byron was Bruce Chatwin who has turned him into something of a cult. Meanwhile Chatwin's own 'Oxiana', his first book 'In Patagonia' has declined in value--at one point it was knocking on a grand but can now be found for less than £500 'fine/fine' -- there are too many about and it is possible that he is less admired than he was in the 1990s. 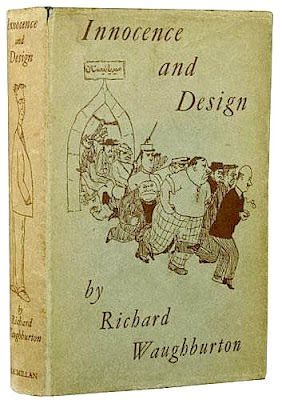 There are several other Robert Byron rarities and 'sleepers' that I might address at some point...in fact the main one is 'Innocence and Design', a 1935 novel he co-wrote with Christopher Sykes (under the name Richard Waughburton). Interestingly the Macmillan's clothbinding is a pastiche of the patterned cloth often to be found on nineteenth century Oriental travelogues. I once found a copy in the one pound book room of a Suffolk mansion--the jacket was rubbed but it was quickly converted into a £500 note. Now worth twice that for sharp jacketed copies. On his trip to Albania his travelling companion observed that he 'spent most of the time cursing. He cursed almost everybody who did not speak English, sometime violently, but more often in a pleasant conversational monotone, as though he were discoursing on the beauty of the countryside.' Oddly enough Chatwin was also had his farouche side and could resort to force if countered; Byron was keen on threats of legal action especially against editors who dared to propose changes to his text. I have never read any Robert Byron, though I have all of Lewis and the Newby classics - this has inspired me to have a go at him. Have to say that though I love some of Waugh's novels the BYTS are trying. The best book on Albania I have ever read is a recent one, Robert Carver's The Accursed Mountains (1999) - 'required reading' PL Fermor. Weirdly I have encountered that cursing in a low monotone recently - a Roma woman who sells The Big Issue in Glasgow has a very slight change in register as people go by without buying - it goes 'Big Issue, Big Issue [something in Roma] Big Issue Big Issue'. The funny thing is that most people pick it up despite no knowing the language. You don't have any more works annotated by El Greco perchance? Byron's travel writing isn't accurate, though it is truthful- for instance, he was almost monoglot, but still includes long alleged transcriptions of remarks by natives who didn't know English in his books. His great- perhaps his only- virtue was his continual enmity to nazism. "I'll have to put 'war-monger' in my passport." he said in the 1930s, and on one occasion- in contrast to attacking harmless old Melville- he asked an appeasement-minded British diplomat: "Tell me, does Hitler pay you?" and constantly repeated the question when he was ignored. Edwin-- El Greco's copy of an old Vasari? That's nothing I found Eric Clapton's copy of Bert Weedon's 'Play that Big Guitar' (1958) with his signature (E.Clapton) and many notes and even some lyrics (Layla as I recall). On a stall at Dingwall's market. Sylvan. Anonymous - you could possibly buy a bit of a palladian house with the money it would fetch!